The meeting at Union Grove was very fruitful in new members. Fifty people joined the Christian Church and six members were added to the Baptist Church at this meeting. The baptizing was held at Miller's Branch Sunday afternoon. Probably the largest crowd ever present at a baptizing in this county witnessed the ceremonies. It is estimated that about four hundred people were there. 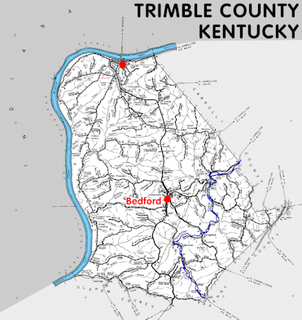 Bedford Christian Church is now located at 209 US-42 in Bedford, Kentucky. Clarence STOCKDALE and Carlos BELL were reinstated and Mrs. Lafe HARMON, Victor COGHILL, Mr. and Mrs. Leslie SMITH[a] were received by letter. Kelly GINN, Dorothy LAW, Corinne LAW, Charles TINGLE, Carey GINN, and Ola GINN. A history of the Bedford Christian Church is published in Trimble County Heritage, 1990 edition compiled by Christian MULLIKIN. A revised compilation is available under our Churches page of this website. A few copies of this book are still available. Let us know if you would like one for your family. The history of the Union Grove Church held at the Trimble County Public Library is not signed. County historians believe the history was written by Mrs. COOPER or Mrs. CROPPER. 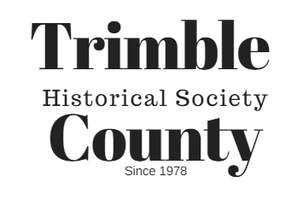 If anyone has information about the original author of Union Grove's church history, please write to us at trimblehistoryinfo@gmail.com. Credit should always be given to our county historians. We hope to confirm the authorship. In the heart of a rural community in Trimble County stands Union Grove Church, some 94 years old, having been built Fall 1892 and competed Spring 1893. The beginning of the congregration goes back even further. In the 1850s there were only four churches in the county: Bedford [Christian] Church, Mt. Byrd Christian Church, Corn Creek Baptist Church, and Mt. Tabor Methodist Church. Poor roads made it impossible to travel any distance; therefore, the people of the Mt. Tabor community attended the Methodist church there. The building was built in the late 1700s in the area previously called Winona. This was an Indian name given to the region by the tribes who hunted there. The beginnings of the Union Grove Church in the 1850s was when the Christian and Baptist members asked to use the building after the Methodist services, and so a type of Union Church was started. This building was later abandoned and a neat frame building was built, one mile east of it, by the three denominations. [Which is] the present site of the Union Grove Church. The land where the church stands was donated by Mrs. America MILES. 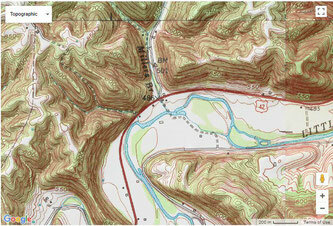 Walter S. MITCHELL wrote "The place was a thicket; greenbriars and blackberry vines were reaching from here to yonder." William SPILLMAN was the carpenter in charge. The name of Union Grove was chosen because it was a union of churches and was built in a grove of trees. The first trustees of the church were: Charles MITCHELL of the Christian Church, Nathan CULL of the Methodist Church, and William T. CARRACO of the Baptist church. The W.M.S. of Locust church presented a communion table and chairs. In more recent years the table was replaced by one of cherry wood from the farm of Aubrey JONES, donated by him. 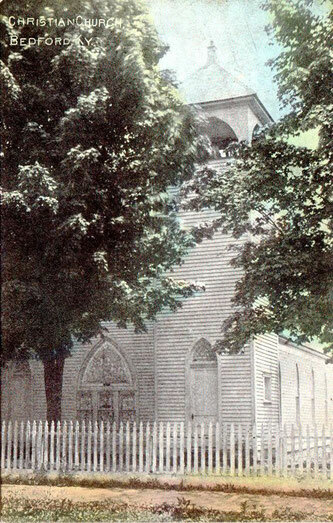 Ida Mae JOHNSON gave a silver communion set, some of which is still in possession of the church. Song services at the new church were without the benefit of a musical instrument. Later, a pump organ was purchased. It was played by Mrs. Birdie DEHONEY. A painting The Good Shepherd by Doris Jones EGGENSPILLER, made in more recent years, hangs in the church sanctuary. Charter members are from the SPILLMAN, CULL, CARRACO, MITCHELL, NEEVES, GINN, JACKSON, BELL, COGHILL, WEBSTER, COBLINS, and JONES families. The only dissension in the early years was among the Baptists themselves. In 1909, about half of them bought the Mt. Herman Church building and moved there, taking some of their records with them. Later in the 1940s some of the Methodists broke away from Union Grove, longing to go back to their old territory. They rebuilt their church where the old Mt. Tabor building once stood. Aubrey JONES, George MILES, Gale YOUNG, and Mrs. Carl ABBOTT. By 1959, the growth of the church called for more additions. Three new Sunday School rooms and restrooms were added to the west side of the existing building at a cost of $5,620. These new rooms were dedicated August 16, 1959. The church history was compiled and given by Mrs. Clyde CROPPER [COOPER]. Cary GINN was the presiding Sunday School Superintendent at the time. 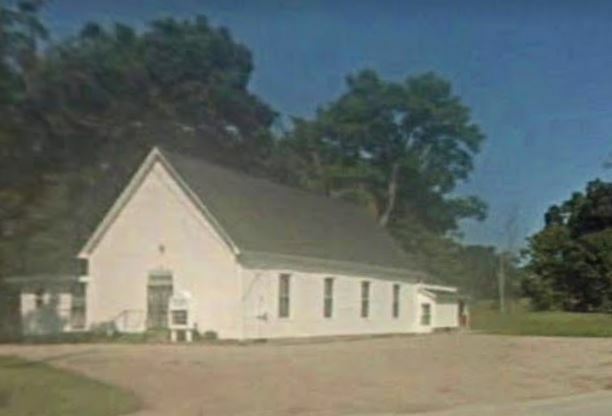 Previously published online by Northern Kentucky Views, the original story of Union Grove Church is held at the Trimble County Public Library in the Kentucky Room. If you would like a copy of the original, please stop by our library to obtain a copy. Our helpful librarians are there to assist you. Larry D. CRAIG has agreed to provide some pictures of Miller's Branch. On receipt of his donation, they will be added to this installment for the enjoyment of all. Thanks in advance to Larry and Betty Bower CRAIG for your contributions to Trimble history.